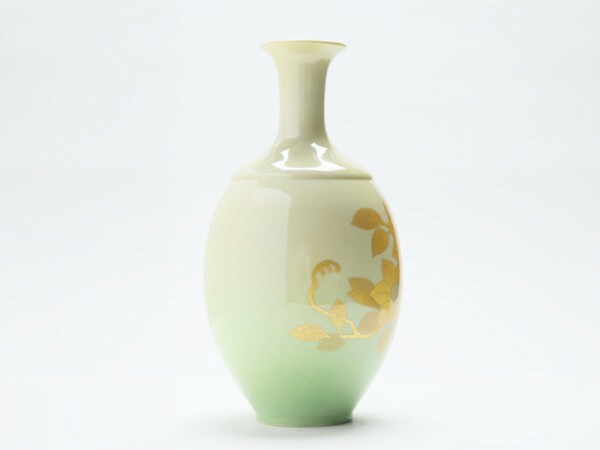 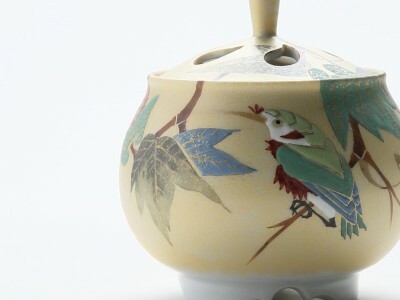 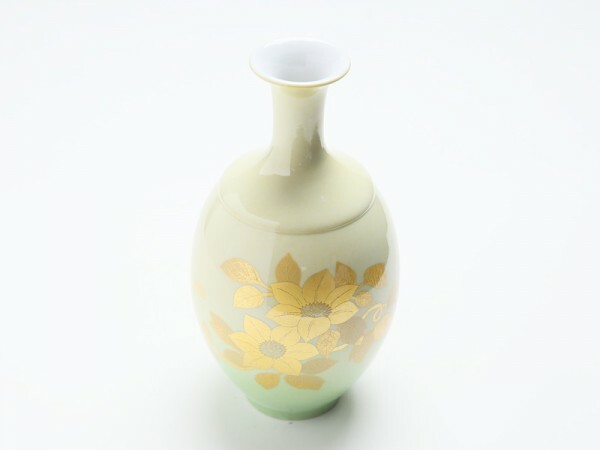 “Yuri-kinsai”, an under-glazed gold decorative porcelain. Gold-leaf cut-outs in patterns are applied prior to glazes. 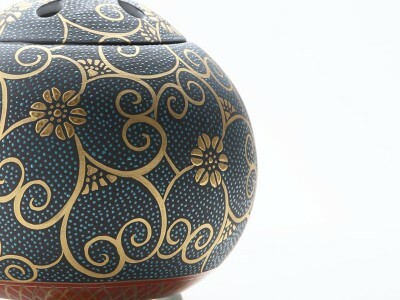 Professional Minori Yoshita shows three-dimensional sense of a thin gold leaf by Gold-leaf cut-outs in patterns with multiple layers which are applied prior to glazes. 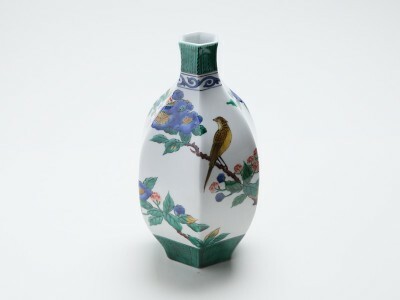 It presents as a realistic masterpiece completely the same as pen-painted. 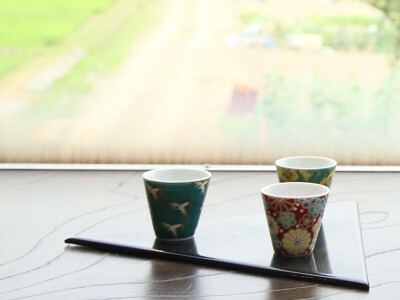 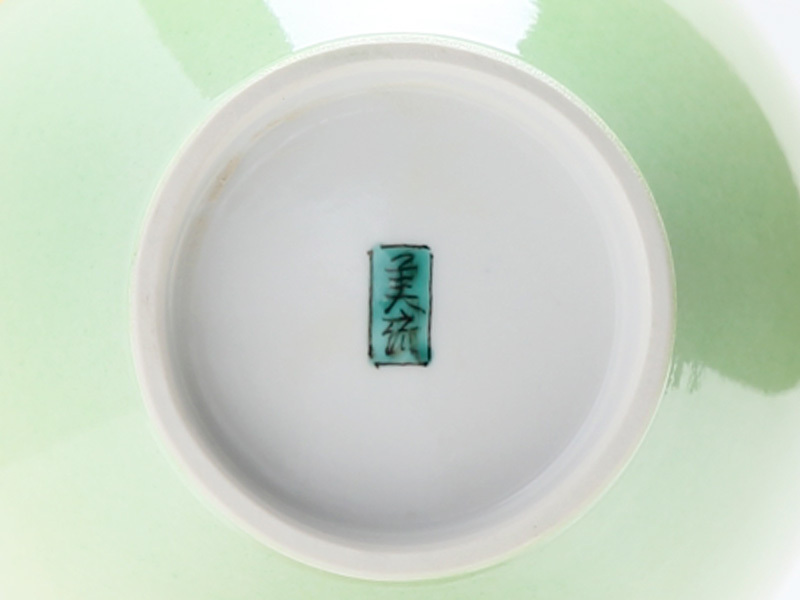 A Living National Treasure certifies a person as holder of important intangible cultural properties by the Ministry of Education, Culture, Sports, based on the Article 71 Paragraph 2 Law for the Protection of Cultural Properties of Japan.